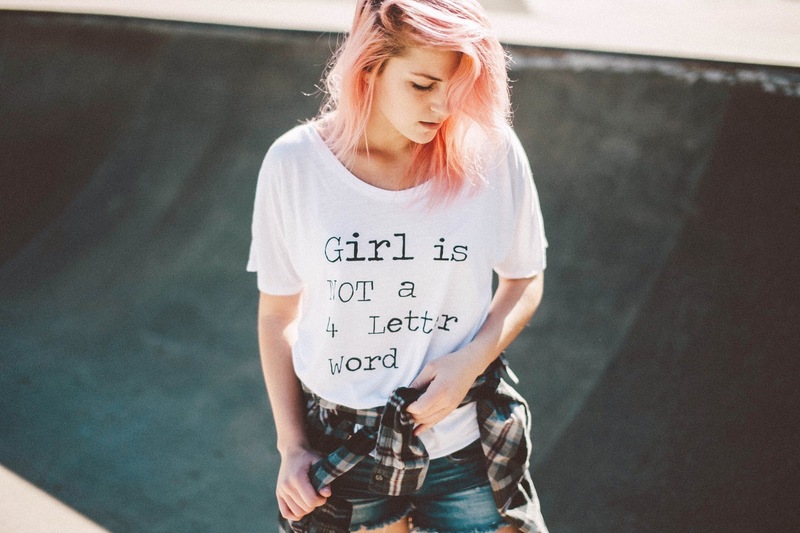 Girl is NOT a 4 Letter Word Ambassador, Elise Crigar, is a skateboarder and multi-media artist from, St. Augustine, Florida - now living in Dana Point, California. 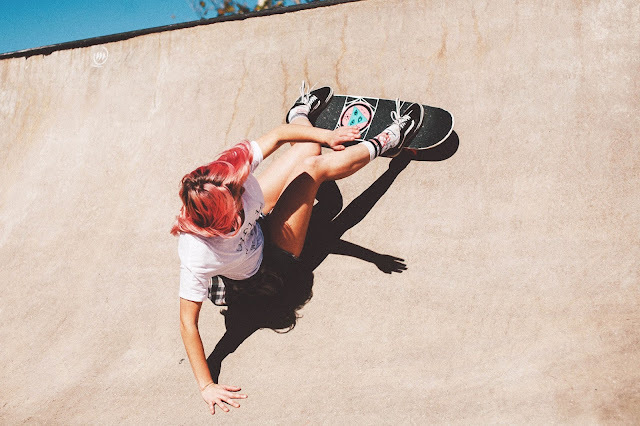 By combining her love of photography, graphic design, fine art, and skateboarding, Elise comes up with unique ideas and turns them into inspiring works of art. Her instagram page is chock full of bright, colorful and fun inspirational images - including a lot of 70's and 80's flavor - which we love! 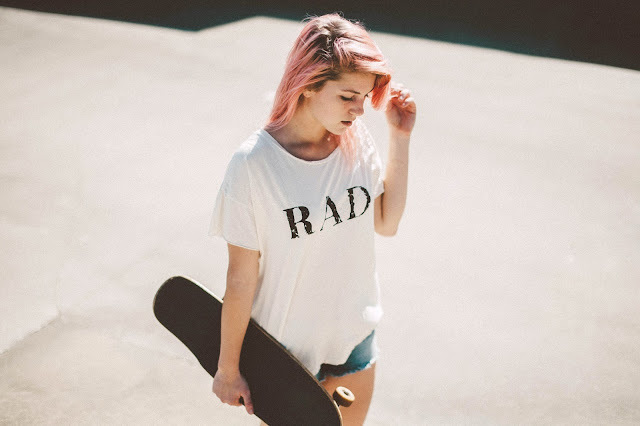 Elise is a true "soul skater", she doesn't skate contests or only ride in skate parks, but instead prefers to skate anywhere and everywhere she finds during her daily travels - drained pools, driveways, streets, wooden makeshift ramps, drainage ditches, it all works for her. Her low fluid style reminds us a bit of of Peggy Oki back in the day. Elise is the designer behind our recently released hardback book, "It's Not About Pretty: A Book About Radical Skater Girls"
Stay tuned here, and keep your eye on Elise's Instagram page to see what she is up to!